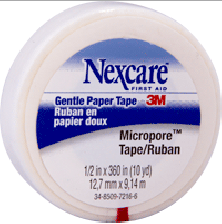 3M Nexcare Micropore Paper Tape is a non-irritating post-surgical paper tape that's able to help keep gauze in place but won't allow any damage to the skin. The tape is made with breathable materials, making the application process easier than most bandages that stick to the skin. This also adds a comfort level for the user while making it easier to apply on site. For faster access, the tape tears away easily and doesn't need any extra tools for tear-away purposes. Multiple widths are available for versatility and each roll is 10 yards in length. 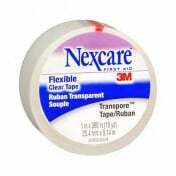 To avoid skin reactions, the tape is made using hypoallergenic materials. 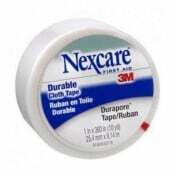 I like Nexcare products, I think they make a product that always meets my expections. The paper tape does not hurt the skin and stays where you put it. I have an Illeostomy and have been using Vitaity for my paper tape needs for several years now. Fantastic service, fast delivery, the product I need, when I need it and at a price(even with the shipping charge) that's way less than the local pharmacy. My local Walgreens gets about $6.00 just for one roll of the tape I need. For about $20.00 I get a box of 6 rolls here and that includes the shipping! !